Lotus Retreats curates a talented and trusted team of passionate Yoga Instructors, enthusiastic leaders, musicians and devotional practitioners. Our instructors are highly-trained, well-traveled and dedicated to sharing their experience and the sacred practice of Yoga. Loren is a devotional curator whose true love and passion is sharing the beauty of the world and the unity of Yoga with all of those seeking it. She is continuously inspired by Yogic teachings of our everyday life and the practice of Yoga, on and off the mat. Every day is an opportunity to grow & live your life like a Lotus flower, reaching your true potential and fulfillment. Loren believes her dharma and work is to inspire others to live a fulfilling life path with purpose and passion. On the mat, she teaches a variety of Yoga class styles including Vinyasa, Hatha, Restorative and Yin. Her alignment-based training and study of Kinesiology has fueled her fascination with the human body, mind and eternal soul. Sita Devi is a yogini, kirtan artist, and ecstatic dance facilitator in service to the divine. She holds a BFA in dance from the University of California Santa Barbara, completed her 500 hours of training in Kona, Hawaii in 2007, and has been teaching yoga for 10 years in California and at festivals and conferences worldwide. She teaches various modalities of Yoga including Vinyasa Flow, Bhakti Vinyasa Flow, and Restorative Yin. In 2015, Sita filmed a complete Bhakti Yin series for Udaya Yoga Online in Sofia, Bulgaria. As a Kirtan Walli, Sita sings and plays the harmonium, guitar, kartals, and the mrdanga. She has a weekly community Kirtan in her town. 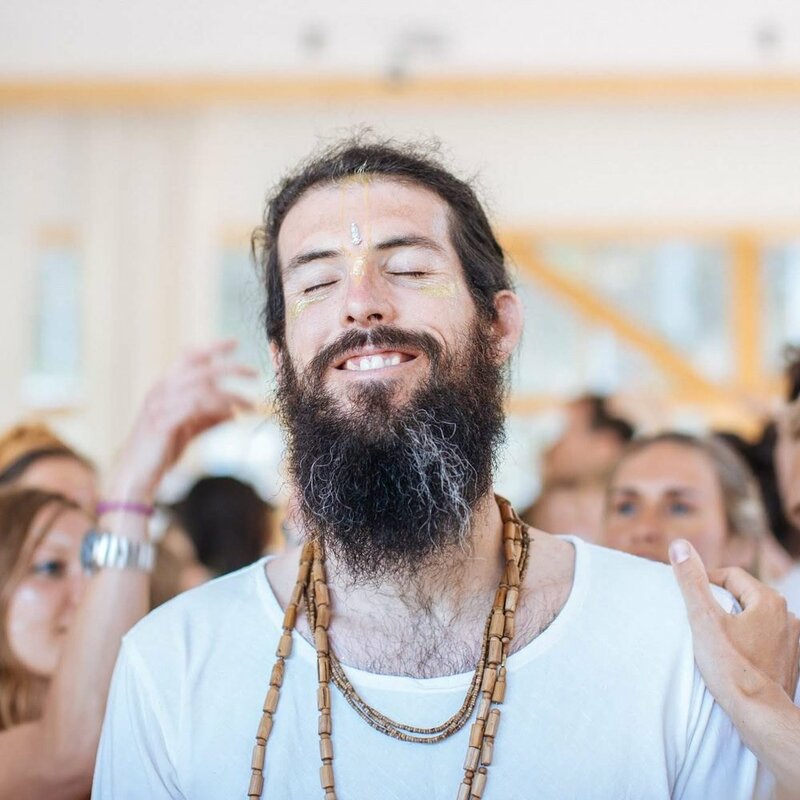 Sita has performed and taught at San Francisco Yoga Journal Conference, Lightning in a Bottle, Wanderlust and several events worldwide. Her mission is to share this heart opening practice and make it easily accessible for everyone. It is her dream and goal to make Bhakti, devotional service, something that anyone can do, without limitation, expectation, discrimination or judgement. Maria is a passionate believer in sharing her colorful light to the world. She loves to connect with her students, supporting them in inner balance and allowing asana practice to gracefully guide them through challenges of the outer world. She offers a place for students to feel safe in exploration of his/her self and to enjoy a practice expanding beyond limits of the mind. Maria earned her 200 Hour Yoga training certification in a magical yurt in Los Angeles, CA. She enjoyed her group and the training so much that she continued to achieve her 500 Hour there as well. Her love for teaching and the body has inspired her to continue her education, expanding into Kids Yoga, Thai Massage, and Specialty Workshops. She currently resides in Iowa City, IA where she teaches regular classes and continues to fulfill her passion by following her heart and embracing the yogi journey. Taisha is a vibrant soul with a contagious energetic smile. Her mission and vision in life to provide an aligned type of life within yoga alongside with naturopathic science. She strives to give the world the correct tools to live their lives with more quality She has found that Yoga is her truest medicine. Taisha's charismatic, limitless happiness, sympathy and compassion offers a space for everyone around her to be held. Through her findings of the Yoga practice, she aims to share with others the potential and power of the practice. Taisha received her Bachelor in General Biolog and graduated as a 200-Hour Registered Yoga Teacher in Akhanda Shakti Lineage through the Passion Yoga School. She teaches and assists a traditional Hatha yoga style along with workshop preparation and retreat assistance. Beatriz is a fearless force, passionate about empowering women's circles, moon ceremonies and sharing her knowledge of the chakra system. She has created a community of women in Puerto Rico called Sanando Juntas Puerto Rico that offers weekly empowering workshops along with monthly moon circles. She is passionate about helping people find their power through alternative healing techniques and by sharing her own study and devotion to a Yogic lifestyle. Beatriz has undergone a Prenatal and Doula training, 4 fertility and prenatal workshops with UMA Mother in Los Angeles, and her 500-hour with YogaWorks in Los Angeles. She currently resides in Puerto Rico and is passionate about world travel and connecting with students all over the world! Patita Pavan and the Hanuman Project are known for creating ceremonial spaces that are full of joy, are powerful and accessible. In 2018, the Hanuman Project toured over 4 continents, sharing chant with packed houses, open hearts and big smiles. Highlights include: Festivals; Bhakti Fest, Beloved Festivals, Singing Alive (USA), Noisily, Spirit Fest (UK), Bling (Estonia), Cosmic Convergence (Guatemala) Prem Baba Satsang (India) and their highly popular self produced ‘Magic Carpet Parties’ in London UK. in 2018 the Hanuman Project recorded their Kirtan album ‘Thank You For Choosing This Reality’ in Los Angeles California. Another E.P. of Meidicne Songs is also in production alongside Organic artist ‘Mose’ to be released on Resueno records in 2019. Ivanna has found a passion in creating supportive spaces for people to courageously feel the electricity of their true, authentic and empowered nature. Sourcing knowledge from her Bachelor's degree in western psychology, as well as her education in yoga and the eastern philosophy of the mind, she is dedicated to shedding light on the layers of conditioning that keep us from fully connecting to ourselves and to others. 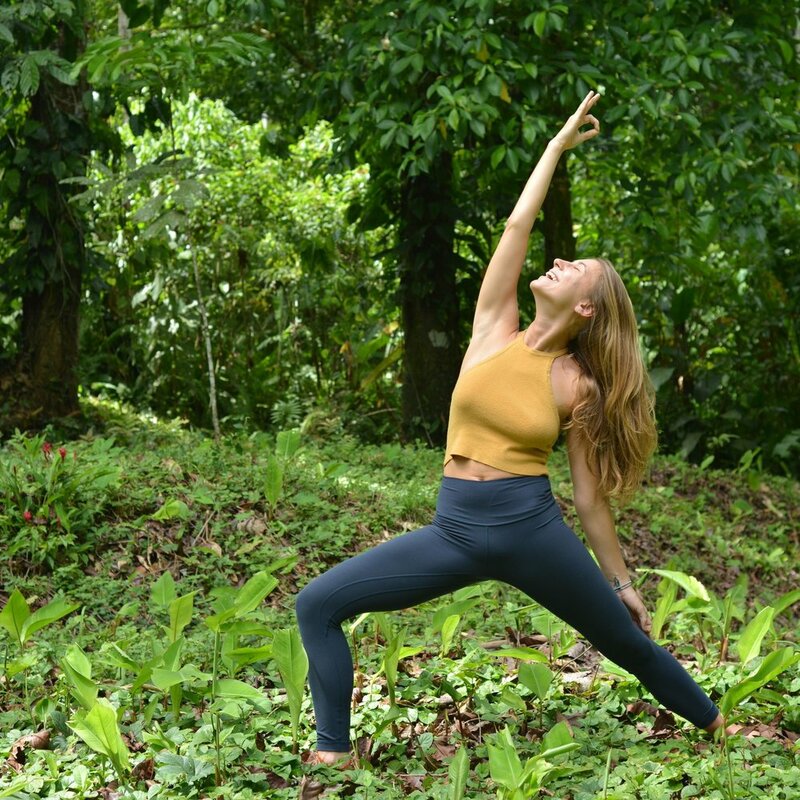 She is a life coach, a registered Yoga teacher and Yoga Alliance teacher trainer, and has lead over 10 Yoga Teacher Trainings in Costa Rica where she currently resides. Nothing makes her more excited than travelling, further delving into the practice of yoga, and discovering pieces of herself in different cultures around the world. Jamil is a fresh, new voice dawning in an age of quarrel and hypocristy. His drive as a singer, songwriter, producer and multi-insturmentalist comes from a passion he has for learning and connecting with others through creativity. His modern storytelling groove with a traditional Americana folk sound invites listeners from all walks of life to tune in and sing-along, from intimate campfires to large festivals, vibrant nightclubs and the humblest of front porches. Jamil is a traveler, world musician and a friend. He travels around the world associating with fellow artists, seekers, sages and monks. Apostol aims to share the path of Bhakti (Love and devotion) by chanting and singing the names of God. Apostol provides music workshops and storytelling by teaching ancient Eastern practices and applicable music techniques through the chakra system. Ryann believes that yoga has the power to positively transform our lives. She teaches a Hatha inspired class with an emphasis on breath, awareness, and body control. She aims to make each class feel steeped in Indian tradition and lineage. Her path has also led her to Fascial Stretch Therapy(fst) as a way to help speed the physical healing/recovery process and flexibility that yoga offers. With yoga and fst Ryann has a passion to guide people towards a more connected, positive, and healthy life. Ryann earned her 200 hour yoga teaching certification while living and studying in an ashram in Mysore, India. She then earned her 500 hour teaching certification in the magical jungles of Costa Rica with Passion Yoga School. Jonatan has been practicing Yoga for over 20 years along with healing arts for 10 years. His teachings and bodywork techniques are the sum of all types of experiences; he sees the value in all techniques with the utmost respect for all traditions. From his own life's experience, Jonatan is compassionate and understanding of the stress of society today. He takes what he has learned and creates a way to help others through movement, through touch, through breath and through sound. He is an exceptional teacher and healer who embodies all that he has experienced, with gratitude still waiting to understand some. His goal is simple, he has none. Through a life of devotion, selfless service and gratitude, Jonatan is a compassionate leader and group unifier. Internationally based KIRTANIYAS are a global collective of energetic, multitalented artists. They have grown up in a Vedic culture of song, dance, philosophy and devotion between ashrams and temples both in India and the western world. Vijay Krsna, band leader, studied devotional Indian folk music known as “kirtan” in the sacred village of Vrindavana, India. This rare traditional art form is an ancient call-and-response mantra chanting practice, that originated in the Indian subcontinent over 5000 years ago. Shelbie is a world traveling, enthusiastic soul on fire with compassion and kindness. She has a true wanderlust with a life goal to travel the world. She believes each adventures is an opportunity to grow mentally, intellectually and spiritually. And by digging into various cultures, customs and history, we learn and evolve. Shelbie is a fanatic at the arts of Acro Yoga, Aerial Silks and Bhakti music. Her enthusiasm and playful nature spreads joy and love to those around her. Shelbie trained with the Yandara Yoga Institute in Bali, Indonesia. She is trained as both an Aerial and Acro-Yoga Instructor as well as trained in the spiritual healing Art of Reiki. She serves as a Lotus Retreats ambassador offering workshops and assisting throughout the retreat week.